Check Out What We Just Finished! LocationHomeGeneralCheck Out What We Just Finished! 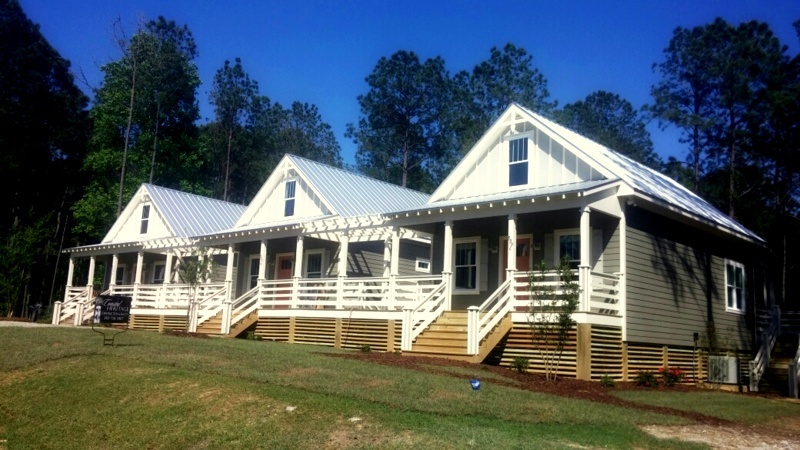 Two more of the vacation Outfitters Cottages at Arlington Place are now complete! And if you book soon, you can rent them for just $99 a night! Call us NOW to book your vacation 800-967-7639. Whatever your pleasure, relaxation or recreation, it’s here at Arlington Place. Swim, bike, kayak, boating, tennis, fishing, golf, hiking…..or you could just kick back on the back porch or at our new riverfront beach! Two of these cottages have already sold but there is still one available for only $133,000, fully furnished! A vacation spot for you and your family when you’re in town, and rental income when you’re not….the perfect combination! Come On In, the Water’s Nice!